Hans Zimmer is well known for his epic movie scores, but little do people know about the computational power behind his music. Though Zimmer is more associated with his orchestral scores now, his early film work was largely composed solo, on the synthesizer and through the use of samples that Zimmer took himself. But as his career expanded, so did the scope of his music, and it’s that scope that’s made him so enduring in the musical cultural consciousness. Zimmer is a constant innovator, and his embrace of technology means he’s able to adapt without compromising for the sake of whatever is trendy at the moment. 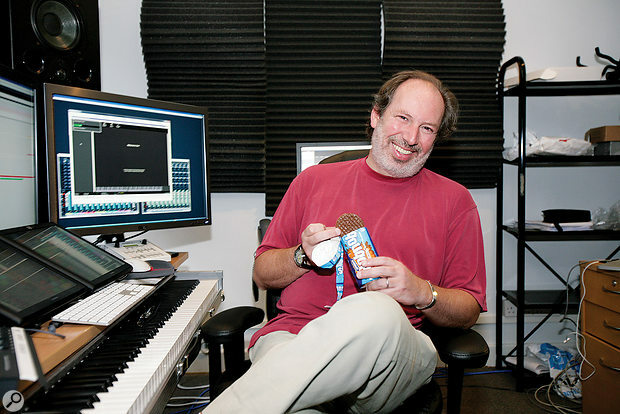 More recently, Zimmer helped develop an app showcasing the score for Inception that took into account the user’s whereabouts and movements, and even launched a viral event to help populate the 100,000 voices he wanted for the “rise up” chant that forms the base of much of The Dark Knight Rises’ score. So much of his music nowadays are composed and performed with custom built and programmed synthesizers that create the iconic sound that is so often associated with him. My grand musical education is two weeks of piano lessons. So I’m not a good player, but I’m a good programmer. I’ve always felt that the computer was my instrument.